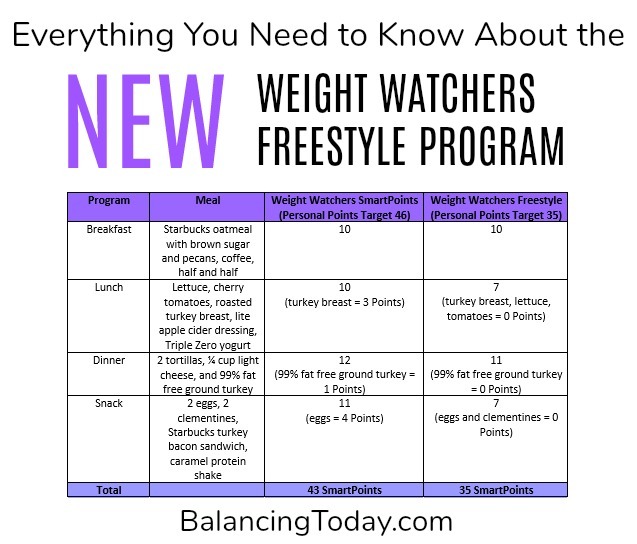 If you haven’t heard, the new Weight Watchers Freestyle plan rolled out this week. The new Freestyle program is new in some ways, but the foundation is the SmartPoints Program we’ve known for a few years. For those unfamiliar with Weight Watchers, all foods are assigned a “Points” value, which is calculated from calories, saturated fat, protein, and sugar. 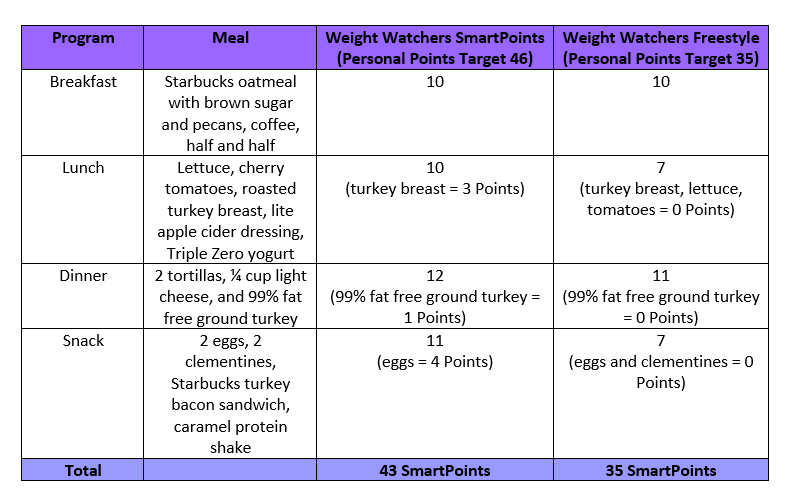 Based on your own body composition, Weight Watchers calculates a daily SmartPoints target. In addition, you have a pot of Weekly SmartPoints to use in addition to your daily SmartPoints. So what’s the big change? Well, with the new Weight Watchers Freestyle program, 200+ foods have been assigned a SmartPoints value of Zero, regardless of their calories, saturated fat, protein, and sugar. Each individual, based on their hunger and needs can eat without limit from the zero Points food list. I love that there are so many foods that are zero Points. Here is the full list of foods. 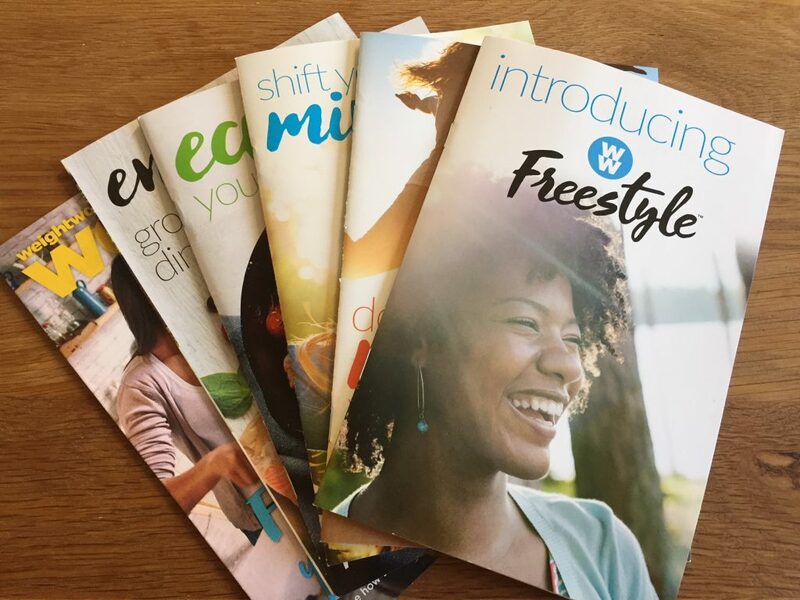 Having had lots of weight loss success on the Weight Watchers CORE program, this new Freestyle program is right up my alley and makes me happy! I love Weight Watchers for the community and accountability, but being on a restrictive diet does not work for me! I love that Freestyle gives me the true freedom to eat based on my body’s needs. The daily points will help me to control the foods that I tend to overdo it with. The zero Points foods are not foods I will binge on! 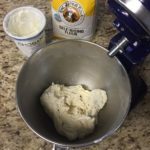 I think a lot of people are scared they’ll overdo it when it comes to these “free” foods, but I personally find these foods to be filling and not tempting. I mean, you don’t hear me saying that I crave spinach and chicken breast every day do you? Zero point fruits and veggies aren’t new, well except for peas and corn, so there’s not much to celebrate there. Zero point lean turkey breast, chicken breast, and fat free yogurt adds more protein to your diet! This is a win, win for me. I’ll be honest, I feel like I’m going to get tired to turkey breast and chicken breast REAL quick, so I know it’ll be important to change things up! It’ll be important for me to use my daily points allowance on other proteins and not just on carbs. I go off plan when I feel bored or restricted, so I know I need to make the most of my daily SmartPoints! This includes sweets, treats, and carbs. I LOVE that you can rollover 4 SmartPoints a day within a week. Some days, I just don’t eat as much. Some day, I want to save Points for a day down the road. I just love it! It’s so much more realistic! I have followed the Weight Watchers Freestyle plan for 3 days now, which obviously isn’t a long time, and it’s definitely an adjustment. I won’t sugarcoat it. Before Freestyle, most of my meals were filled with carbs, sugary foods, and processed foods. The zero Points foods are whole foods, so I’ve naturally reduced my sugar intake, which is a shock to the system. 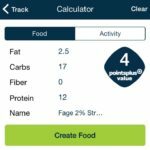 From the start, I’ve tried to plan my meals around my zero Points foods, using my daily Points wisely. That doesn’t mean I have zero Points foods at every meal, but it’s where I start. I have found myself with lots of Points at the end of the day, so I do need to work on balancing out my Points a bit more. I have not felt restricted ONE BIT! The one thing I have heard online is that people are stressed about the reduced daily Points. I just find that starting with the zero Points and then filling in with my daily Points helps a lot. If I go into it focused on my daily Points, they will be used up quickly. I think the new plan requires planning, at least at the start, but I know I’ll adjust to the new program and will have an easier time making choices on the fly. All in all, I’m really excited about this new plan! I am using these last few weeks of 2017 to learn and adjust, but am fully aware it’s the holiday season and we’ll be traveling. I have learned a lot about myself over the years and my biggest take away is that I can not be restrictive or unrealistic! I want to live a healthy and whole life, which involves enjoying the holidays (parties, family traditions, you name it)! My ultimate goal is to be consistent over time and to reach my healthy weight, but I am not going to be 100% on plan 100% of the time. It’s just not reality. I am a Weight Watchers member because I need accountability, love the community, and need some structure, but a true Freestyle plan to me includes flexibility with life’s events. I do not want to diet. 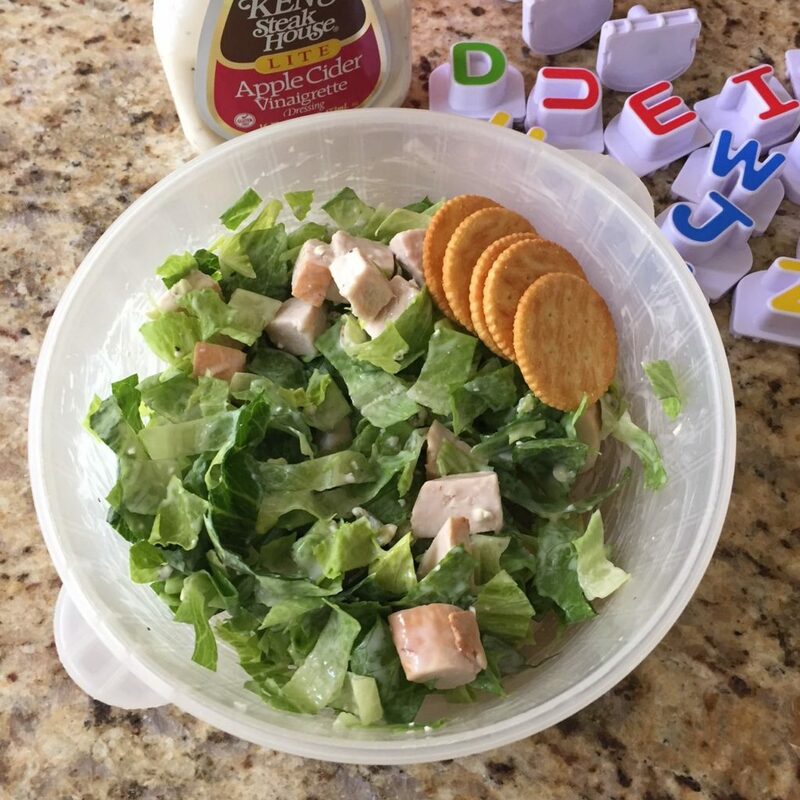 I know that sounds weird, considering I just talked about the new Weight Watchers plan, but it’s so important to me to have a healthy, well balanced lifestyle! I am working to improve my overall health and I know, from years of dieting, that it’s not maintainable if you are restrictive through dieting. 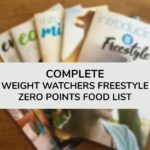 For me, Weight Watchers Freestyle encourages me to eat whole foods and to control my intake of foods that I personally overdo it with that fall outside of the zero Points category. 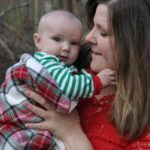 I hope this overview was helpful! If you’re a Weight Watchers member, add me on Instagram and Facebook!